Tassy Parker, PhD, RN, is an enrolled member of the Seneca Nation and belongs to the Beaver clan. Dr. Parker is a tenured Associate Professor of Family and Community Medicine, and Associate Professor of Nursing at the University of New Mexico Health Sciences Center (HSC). She is HSC Associate Vice Chancellor for American Indian Health Research and Education, Director of the UNM Health Sciences Center’s Center for Native American Health (CNAH) and the Institute for Indigenous Knowledge and Development (IIKD). Dr. Parker is the UNM School of Medicine Assistant Dean for Academic Affairs. 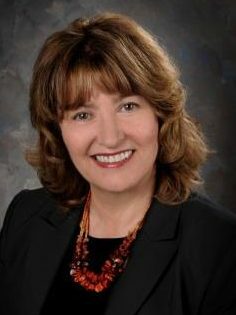 Her research is characterized by a community-based participatory orientation and focuses on American Indian health in broad areas of mental and behavioral health disparities including depression, substance use, historical trauma and contemporary health, primary caregiver and pediatric obesity prevention, interventions for adverse childhood experiences, and youth incarceration. Her CNAH-IIKD team leads an innovative American Indian health professions student development and pipeline; community health assessment education, and promotes Indigenous knowledge across the service, research, and education missions of the University of New Mexico HSC.